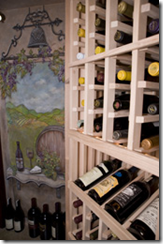 You are currently browsing the Short and Long Of Home Renovation blog archives for July, 2009. (ARA) – Showering is about so much more than just getting clean. Especially in stressful economic times, the bathroom can be a sanctuary — the one private spot in the house where we are free to be totally ourselves, singing loudly and off-key in the shower and indulging ourselves with lather, rinse and repeat. The average American adult spends 8 to 10 minutes in the shower every day, according to several surveys on the topic. Upgrading your shower can help elevate those minutes from soothing to sensational. Plus, bathroom improvements are a proven way to increase your home’s value. If you’re still showering under the same old showerhead that provides only a mediocre spray and coverage, it’s time to try something new. From single- and multi-setting massaging showerheads to rainfall options and bodysprays that pour a soothing sprinkle overhead, today’s showerheads create a wide variety of experiences. Check out your local home improvement store or kitchen and bath showroom to get an idea of the options available. Adding a handshower — either to replace an old one or to enhance an existing shower — is another easy, cost-effective option for punching up your shower experience. 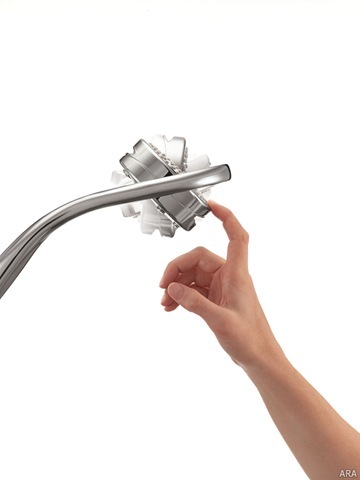 Long valued for their flexibility — handshowers are a great way to keep kids, pets and the shower itself clean — the handshower is also getting a smart upgrade with products like Kohler’s new, affordable Flipside handshower. While traditional handshowers have featured just one sprayface, the Flipside offers four sprayfaces that rotate. Each sprayface provides a different experience in an easy-to-hold and use handshower, including a traditional spray for maximum water coverage, a denser and enveloping downpour, a drenching spray and an invigorating massage spray. Visit www.kohler.com to learn more. Most of us probably don’t think about our shower doors much until it’s time to clean them. If your shower door sports scratched acrylic, lime build up and dirty, corroded door tracks, you can boost the look of your shower — not to mention your mood — by installing a new door. Beauty and practicality are the watchwords of modern shower doors. Manufacturers like Sterling have given these necessary items a touch of class and elegance, blended with a healthy dose of functionality. 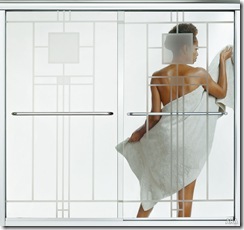 The manufacturer offers 17 different decorative shower doors, from frosted with a viewing portal to a style that evokes the designs of Frank Lloyd Wright. A quick way to add a finishing touch to your shower area, the doors include easy-to-clean features like CleanCoat, which helps the door shed dirt and soap buildup, and a unique bottom track system that features smooth tracks that lack the crevices where grime builds up in traditional shower door tracks. What’s more, some models, like Sterling’s Finesse line, install in as little as 15 minutes with just an Allen wrench. To learn more, visit www.SterlingPlumbing.com. Finally, if you just can’t bear the chipped pink ceramic tile straight out of the 50s, or the rust-stained porcelain tub that was old when your grandparents were young, a bath/shower surround can be a quick, easy way to put a fresh, modern face on your shower. A bath/shower surround incorporates three walls, the bathtub and shower doors into a single, seamless unit that is easy to install and maintain. Installing a surround is frequently less costly and quicker than creating one piecemeal with separate tub, shower walls and doors. For those really looking for ease of installation, consider the Sterling Accord bath/shower. 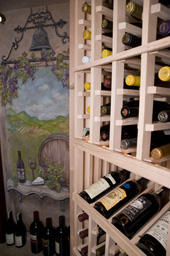 It’s affordable and fast to install with an innovative click-together, caulkless wall system that saves time and money. This entry was posted on Sunday, July 26th, 2009 at 2:07 pm	and is filed under Bathrooms, showers, showerheads, bathtubs. You can follow any responses to this entry through the RSS 2.0 feed. You can leave a response, or trackback from your own site. I have found some tips and help finding contractors for your renovation. Here is the website. This entry was posted on Monday, July 6th, 2009 at 10:21 pm	and is filed under Maintenance. You can follow any responses to this entry through the RSS 2.0 feed. You can leave a response, or trackback from your own site.